Magnolias and Men M/M Romance With a Southern Accent: Redemption Made the Bestseller List at All Romance Ebooks! Redemption Made the Bestseller List at All Romance Ebooks! I received a very nice e-mail from All Romance Ebooks, telling me that Redemption (Diversion 5) is a bestseller! 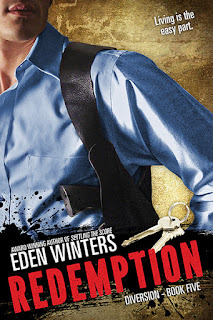 Find Redemption at All Romance Ebooks.